Call Valpak of Charlotte for direct mail advertising and digital marketing that works. The Blue Envelope® of coupons offers you big-name impact at an affordable price, as well as comprehensive support and fully measurable ROI. You reach only the households you want. Valpak of Charlotte is also ready to help you develop a small business website that gives you the competitive edge online. 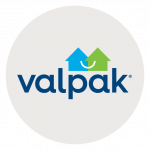 Choose a landing page or a full website connected to our savings site, valpak.com. As a Google Premier Partner, we can leverage the power of Google Ads to get you found for keywords online that generate calls and clicks for your business. Getting the best return on investment can be a challenge for small businesses; but with Valpak, you always know where you stand. Our call tracking and performance tracking tools register user engagement and offer unique insight into how a consumer becomes a lead. Let Valpak of Charlotte help your business reach its potential. We can get you into thousands of households in Charlotte and suburban cities such as Concord, Gastonia, Mooresville, and Statesville, NC, as well as Rock Hill, SC. For specific dates and coverage, contact your Valpak of Charlotte representative.